I have been flip-flopping in my opinions regarding competitive events. This blog started out as a way to report on the IHFL and how I performed at the various legs, but I have come to realise that purely competitive fencing can have some negative consequences for the ‘quality’ of my fencing and also my enjoyment of the specific event and fencing as a whole. In this post, I’ll be looking at the relative merits of competition (again), alternatives to it and hopefully working out a balanced model for future events. What I love about competition is the excitement and passion that it stirs up in me. We all like an ego boost and winning a bout is a great way to feel like you are a good fencer, that the training you have put in was worth it and that during the coming apocalypse you could protect you and yours from the hordes of zombies with nothing more than a pointed stick! There’s a wonderful tipping point at fencing tournaments for me when nervousness seamlessly becomes excitement. The same flutter in the belly and raised heart rate, that earlier you wished would settle down, stops being uncomfortable and you start to enjoy the natural buzz of adrenaline. Maybe it’s just me that experiences it but I doubt it. Next on my list of what’s good about competitive events has to do with being competent at what I set out to do. I can strut around my garden and smack a pell as much as I like; it’s never going to show me up (not too badly anyway). Drills and ‘walking-speed’ practising is great for learning, but we all know that unless we can make the move work on an un-cooperative opponent we can’t be sure that we’ve got it right. This isn’t the ego boost of winning, this is the satisfaction of getting a skill you have developed used in its natural environment and working. The draw of a league or a tournament is more than the rush of (potential) victory and demonstrating technical skill. It’s the people that draw me, every time. We get something from every single one of them; there are the people we just like to chat with about anything under the sun, some we have in-depth technical discussions about the merits of elbow padding thicknesses and some we just nod to. In terms of fighting, there are the novices who you have been developing alongside, the more skilled guys, against whom the slightest success is a pat on the back in its own right and there are the rivals that you would give your left arm to defeat. People make these events what they are. Me, competing and, frankly, lovin’ it! On the flip side, we have to look at the negative possibilities of competitive fencing. A major issue is the focus on victory within the confines of a scoring system. If there is a system then there will be a way to ‘game’ that system. By gaming, I mean a way to shortcut the pure intentions of the rules in order to secure what must be a pretty hollow victory. A common example of this is the ‘hand-sniper’. They stay out of distance, they flick their points in at your knuckles and they are the most boring people to fight and to watch. We’ve all seen them, we’ve all lost to one and, from time-to-time, we have most likely been one in order to grab a win when we “really needed to”. They don’t employ quality techniques, they never allow even a chance to try yours and they have an annoying habit of being bloody successful in competition! This isn’t sour-grapes (much). It’s just that I find the overuse of a single technique doesn’t do much for any aspect of historical fencing. People who rely on this type of style to win aren’t better fencers in any holistic sense. They are simply better at winning within a given rule set. “Semantics” you may shout and you’d be dead right. There is a certain logic that says that these ‘gamers’ are actually good fencers. We are competing, therefore we are judging ‘good-ness’ by points and victories. Hand-snipers accumulate points, they give away few themselves and thus, they secure the victory. That makes them ‘good’, right? “The only reason you don’t like it is that you lose to them.” No, I reject that. I don’t like it because I lose to them, true. But, that is far from the only reason. Honestly, the worse part is the eye-rolling boredom I feel when I watch it happen. Boredom from the technique and worst of all boredom with fencing as a whole. I may be going too far but I intentionally left off “historical”, because that’s what it feels like I’m watching. I suspect that the little hand taps lack ‘martial quality’ and wouldn’t be fight ending in a live situation; so I don’t think continual (and I mean all the f@#cking time) use of them should be encouraged. It is, however, very difficult to talk them out of doing it; indeed, it’s hard to even get them to admit that they are doing it or that there’s anything wrong with it anyway. To them the aim is to win, if it is successful then it was the right thing to do. It doesn’t matter that it was boring, repetitive, frustrating to others and arguably not in the spirit of community. They wanted to win, there was a way to win and they took it. I see their point but it really gets my back up. What troubles me the more though, are the rare occasions I have seen fencers, focussed on victory, getting frustrated when they don’t achieve it doing things that may endanger their opponents’ safety. The aggressive style encouraged by competition has spilt outside the container of sportsmanship and they seemed intent on hurting the other person. Not out of any anger directed at the specific opponent but dangerous all the same. Ever-increasing athleticism and physical ability of fencers has been matched with greater visibility of top-level competitions. This leads to the greater drive to do well, a greater intensity in every exchange and sadly a greater willingness to use sheer brute violence to achieve their goal. I think that the most important part of competitive fencing is its function as a training tool, not as an ego-boost. So when I see people using it that way, gaming their ways to a victory or taking cheap shots on people to vent their frustration at not winning; I want to walk off, handing them their medal (as that’s all they’re after) on the way out and finding someone who wants to work on being a better fencer with me…. That leads me nicely on to the opposite end of the spectrum: Totally non-competitive events. I have never been to an event that was completely devoid of competition. I have been to events that have had workshop days and tournament days over the same weekend (I’ve even been involved in running them). So I will extrapolate these into a (hypothetical) fully skills based event. Needless to say, they do lack the buzz of a competition. The atmosphere is more relaxed and friendly across the board. The lack of adrenal excitement is replaced instead with a mental challenge. You see what the instructor is doing and you have to work out a)what the hell they are talking about, b) try to get your body to do that, at the right time and distance and c) how you are going to make this a useful part of your repertoire. A different buzz but a lot of fun nonetheless. You still get the satisfaction of being competent (eventually, hopefully) with your chosen tool and you get a wider insight into what is possible with it. What I am getting at is the fact that the actual competition is not the be-all and end-all of the total experience of the event. Almost all of the things I get from a competition I get, in equal measure, from workshop days and classes at larger events. The one thing I can only get from competition is a little problematic in that if I was to focus purely on the joys of victory, I think I would end up becoming a worse fencer. I’d risk alienating the friends I value so much and I would suffer disappointment when I inevitably get beaten by someone ten years younger and an all-around better natural fencer than me. I think that the way forward is more mixed events, classes and tournaments and more fechtschule events, that dilute the need for petty tactics just to win. They reward quality fencing whilst maintaining the flavour of competition. Another possibility is to develop a model of tournament that discourages the ramping-up of intensity, that is structured so that hand-snipers (and the like) don’t do well without making too many compromises (hands are a valid target after all). It’s a big ask I know but I’m sure it would be worth the effort. I will of course still be entering the odd league event and the excellent one-off events that crop up from time to time. I will just be doing more to see them as extensions of training, not letting myself get sucked into winning at the costs of my integrity and hopefully encouraging others to do the same. I may never be able to talk ‘medal-hounds’ out of doing what they feel is important at a competition, but so be it. I just hope that I can help them see that degenerating as a fencer or becoming aggressive just to secure a (fairly meaningless when you get right down to it) victory is not good for them, nor for the Art as a whole. Lots of wordiness this time around; I hope you have enjoyed my post, gained some insight into yourself and achieved a zen-like state of egoless calm and enlightenment. If you have or even if you think you might; feel free to share this article with anyone who might like it. You can comment below or reach me on the Wrathful Peasants facebook page. Previous Post Use the source, ​Luke! Next Post Autodidacticism isn’t a type of giant flying Dinosaur, you know. Good article and very much in line with how I feel about HEMA comps and training approaches in general. I am actually having a bit of a hiatus right now because I find the whole push for more fitness, more sparring, more tactical thinking , more tournaments, more medals etc just exhausting. Have a look at known remedies against handsnipers, like shielhau. Try to change measure and use motus frequens to avoid hand hits. Change your guards to keep your hands withdrawn. Hand sniping IS annoying and we all get tagged occasionally. But if your opponent is a one-trick pony, then he can be beaten. Don’t worry what they do, do your own thing. Defeating snipers would be a good seminar title btw! that’s a really good idea. we have looked at how to address your opponents ‘point forward’ guards as a first look at this and have taken to examining how to keep your hands safe as a concious choice in most drills we run. I don’t really want to get into running skills classes that feed into the tournament focussed techniques though. Before you know it I’d have to start running “Hand-Sniping: 101” as part of the beginners’ course! thanks K​evin. I realise the tone is a little whiny about the sniping. I am mainly frustrated with the hole in my own technique that allows them to repeatedly tag me. I often feel that I have reched a frustrating level of “concoious incompetence” ​; I know what I’m doing wrong but I’m not yet able to correct the errors. I am also able to see that the hand sniping technique is a bit of a dead end but only if I was able to defend and counter it better, and therein lies the problem. It’s good from a development point of view but it means I will have to expose myself to the snipers to progress. Hey, just catching up on this article now. I love fencing, but I know my level…I like non competitive events and competitive events, both have their merits, as you outlined. I got to attend a lot of non competitive events. The West Cork HEMA Club ecents were always great for meeting and sparing. 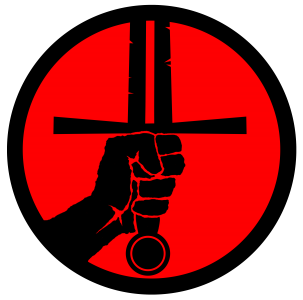 I think the best non competitive events I have attended are the Medieval Combat Groups events “Belfast Bladeworks”. They were completely non competitive in 2015 and reverted back to the same format in 2018. I really REALLY enjoy being able to do workshops and then to have a Fechtschule instead of a competition. I think Medieval Combat Group are planning on keeping that format. A lot of people feel that with less stress being put on the competition, having winners and losers, that it promotes a more relaxed environment. You’re spot on there the Leitrim was a good fun event. That was very much their stated aim and they pulled it off really well. Deciding the ‘winners’ by vote is a really good way to put the focus on quality fencing without making it an all out competition. ​I still think there’s a place for that kind of tournament but it can go too far​, when the focus is just on the win rather than the quality and the enjoyment of all participants. A good read. My experience with HEMA so far is not competitive but extrapolating my Kenpo martial arts experience with competitions – I will say you cannot find rules that will definitively prove the winner would have won in a real fight. So the tournment becomes more about “gaming” the system than showing you have transferable skills to take to real battles. I enjoyed the article – thanks!